Need traffic ? Need Sales? Need signups? Let me introduce myself, my names Alan. I have been in the SEO , website market for nearly 15 years now. In that time i have seen google chance so much, the algorithm it uses to determine a websites worth and position. I have been very successful with my online success over the last few years, and i want to share with you my google strategies for 2016. Start your title tag with keyword -Google puts more weight on words found in the beginning of your title tag. INCLUDE YOUR KEYWORD IN THE BEGINNING OF YOUR POST-Keyword prominence is the new keyword density. 1 xH1 tag include keyword in sentence, and couple more h2, and h3, include one more keyword with the h2. Add a couple of LSI keywords within your post scattered about. Include at least 1 image with title and Alt containing keyword. Speed up your website - Use google speed test tool to understand your website loading speed. Link internally your pages together, make it user friendly and easy for people to navigate. 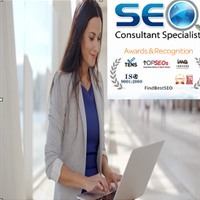 Thats the basics of SEO onsite covered. Well i could go on, but these are the major factors above that you should be using. Use facebook, Twitter, pinterest at least to update people about your website. Dont forget to link these profiles to your website. Add your site to reddit , delicious, digg, stumble , buzz feed. Email Traffic List - Email Traffic List works by allowing you to earn credits” by tweeting, viewing ads and emails (which is how people are driven to your website), and more. You can then use these credits to mail their huge email list that consists of hundreds of thousands. It’s not very difficult at all to drive traffic with this method, even if you aren’t good at writing emails. Traffic exchange- similar to the above but you view other ppeolpes websites to earn credits. I hope this all helps you on your way. Any questions please ask or any help required.